The 'Near Earth Asteroid Rendezvous' (NEAR) spacecraft was launched on February 17, 1996 from Cape Canaveral, FL and was programmed to rendezvous with asteroid 433 Eros on February 14, 2000. 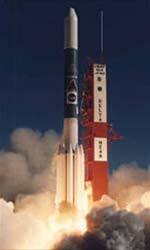 'NEAR' was to orbit Eros for a year, conducting scientific studies. The 'NEAR' Shoemaker spacecraft was designed and built by The Johns Hopkins University Applied Physics Laboratory, which managed the mission for NASA. 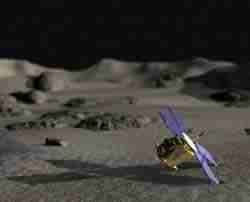 The NEAR mission was the first comprehensive study of the physical geology, composition and geophysics of an asteroid. The mission had three main scientific goals: Determine the physical and geological properties of a near- Earth asteroid (NEA); Clarify relationships between asteroids, comets and meteorites; and further our understanding of how, and under what conditions planets formed. 'NEAR' Shoemaker was the first solar-powered spacecraft to fly beyond the orbit of Mars. It had the capacity to operate as far as 203 million miles from the Sun. 'NEAR' was not initially designed to land. The chances were believed to be less than 1%. 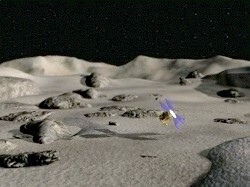 Despite the odds, on February 12, 2001, the NEAR Shoemaker spacecraft touched down on the 433 Eros asteroid and began sending data from the surface of Eros. It has returned 10 times more data than originally planned. The above is the last images sent to earth while "NEAR' landed on the asteroid. 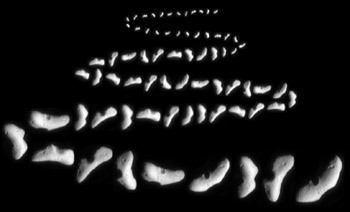 'Stone Henges' Formations 'NEAR' Landed On..
Weightwise the stones on Eros would weigh very little compared to those on Earth - about one ounce to 100 pounds on Earth. 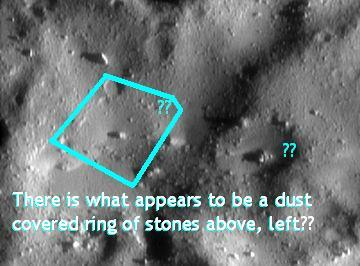 It appears ancient space travelers built and rebuilt numbers of simple 'Stone Henges' upon this small asteroid. Because boulders were very easy to move and roll around on Eros, multitudinous stone circle henges appear to have not only been built, but rebuilt at later times and were placed along side of, and over the older stone henges. 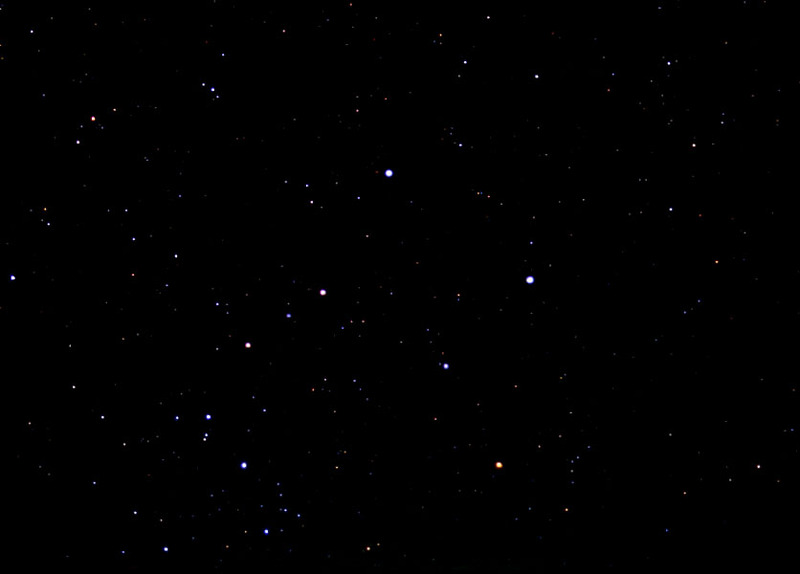 One can see faint remnants of others, above right. Below are images taken from the 'Saddle' area on Eros. 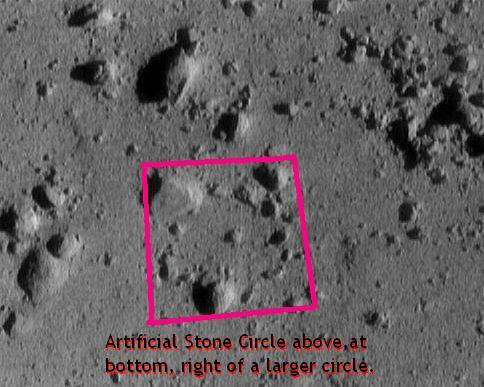 Another small stone-circle henge sits in the saddle portion of Eros. More stone 'Rings around the Rosies' appear at left almost completely covered over by dust, but are not outlined. Look very closely. Anciently on earth these were called 'Diva' Stones. But were they actually astronomical markers, solar dials, or memorials? More odd and old circular stone formations. The above stone circle-henge on the left is almost totally covered-up with dust. It appears there was once a stone-ring henge on right that has also been covered-up by dust. 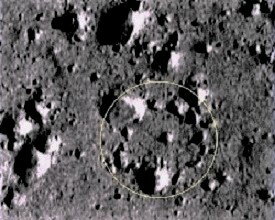 Square Craters Here? Or is Someone Mining Eros? Or are these Just Square, Fractured Features? 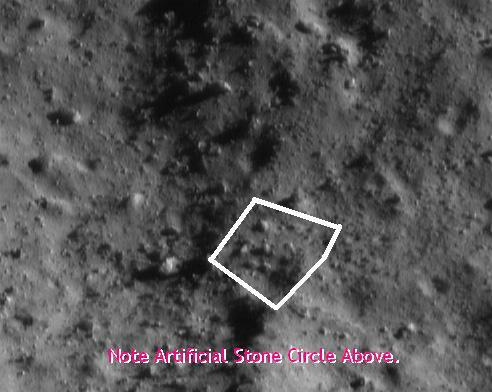 Note odd, square, geometrically aligned sides on these 'craters'. 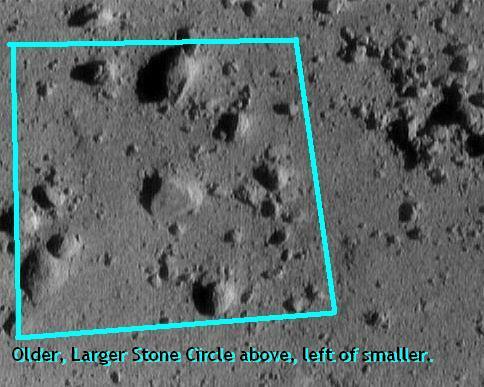 Square craters have also been found on our own Moon, as well as odd shaped structures. 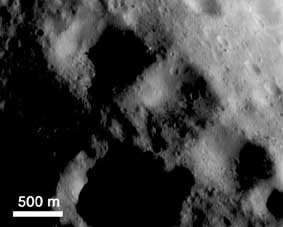 NASA claims linear, square crater features shown in image above are caused by 'fractures' in Eros' geological terrain.